A long time ago, in a desert far, far away I was skiing a beautiful line in the La Sals near Moab, Utah. There I met a local who told tales of great powder in a rarely visited mountain range called the Abajos. Part of this range is now within Bears Ears National Monument. This week I finally decided to go ski some of the last lines of the season in the range. This week is also a critical week for the fate of the Bears Ears National Monument. The Trump administration is taking the first steps towards potentially shrinking or rescinding Bears Ears and 26 other monuments designated in the past 21 years. Bears Ears has become a focal point in the national struggle to defend the West’s last wild places. 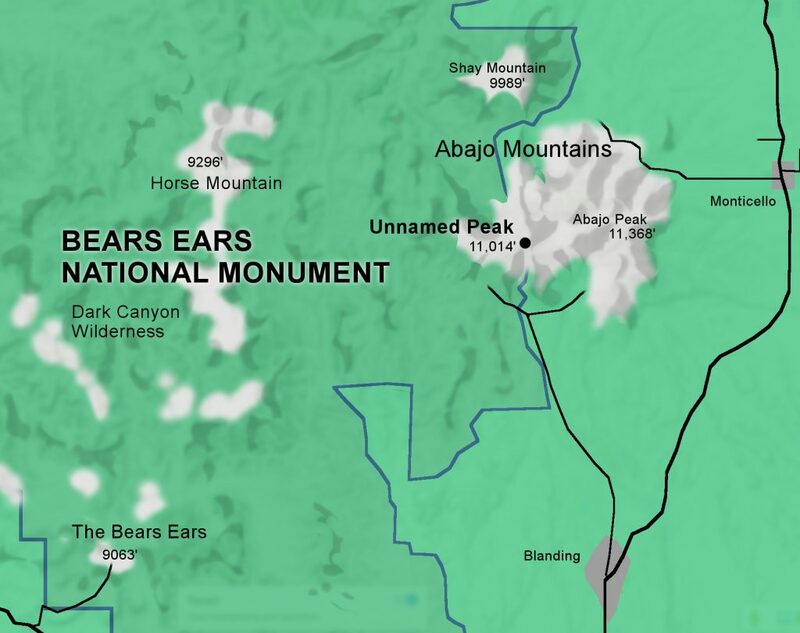 Bears Ears National Monument includes the western half of the Abajo Mountains, with the highest point being the 11,014 foot Unamed Peak. The eastern side of the range is the most popular for skiing and features an old ski area and 2,000 foot gully runs. 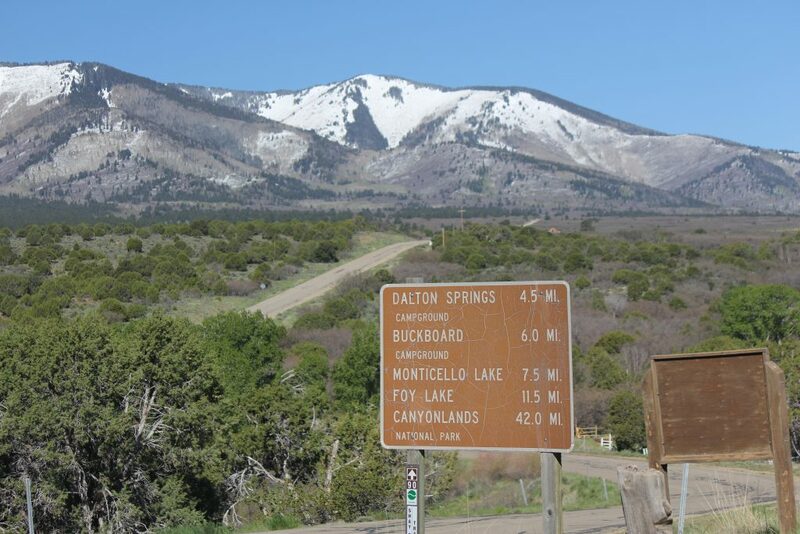 Multiple 10,000 foot peaks with steep tree and gully lines can be accessed from near Monticello, Utah. My goal was to ski the highest peak in the range and scout lines on the Bears Ears side of the peaks. 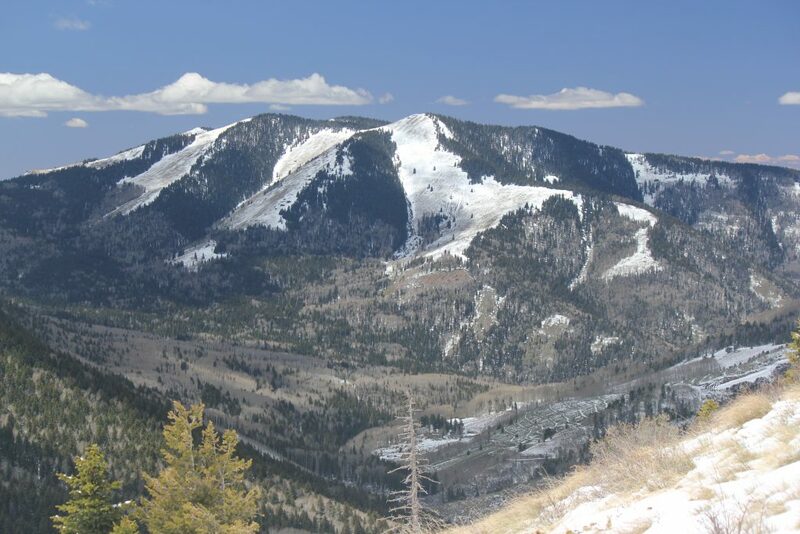 The Abajos are so quiet that no one had published a report on late season skiing in the region before. I was imagining some real bottom-of-the-barrel gully skiing, and it was hard to find any partners on short notice. Arriving in the area I found only local hunters with packs of hound dogs. I felt far from the bustle of tourists that buzz around Moab. A recent snow made it possible to start skinning from 8,800 feet and it wasn’t long that I was up in the heart of this little range. Around me steep wooded lines dropped off of ridges. When I gained elevation it became apparent that Unnamed Peak, my original goal, had seen its best skiing go by a month ago. 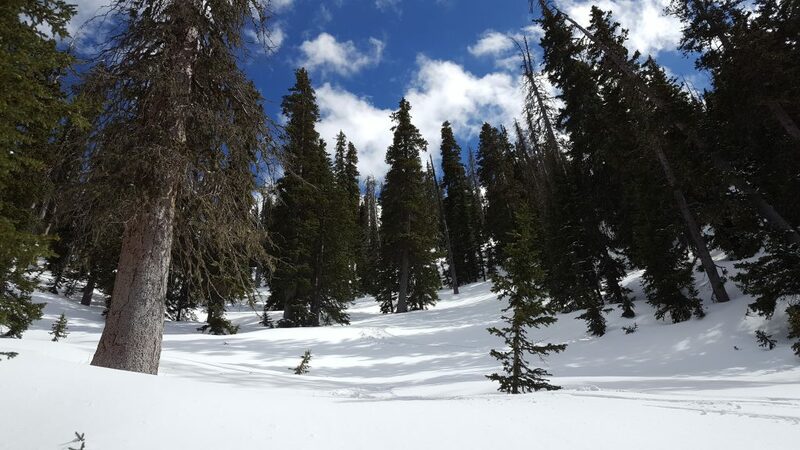 I opted to ski a few gullies and the North Face of Abajo Peak instead and I found deep snow and beautiful tree lines. Both Abajo Peak and Jackson Ridge have quality north facing lines. North Creek Road skirts close to the peaks and gives excellent access to several valleys. While the La Sals get all the attention, the Abajos seem to have better access to a broad cross section of the peaks. Bears Ears was designated as a monument to protect the archaeological and cultural sites contained within its boundaries but the region holds fantastic recreation opportunities as well. Much has been written about the world class climbing, mountain biking, and hiking within Bears Ears and, as I learned, the monument holds great ski terrain as well. However, Utah politicians and extractive industries are fighting to undo the monument. The monument was designated after years of public discourse involving all stakeholders and only happened after efforts to protect the area through Congressional designation failed. All Americans, not just those who live in southeastern Utah, have a stake in the future of Bears Ears. These lands, like all public lands, belong to all of us and monuments protect our collective national heritage. Make your voice heard before Friday May 26th, 2017: use the Outdoor Alliance’s letter writing tool to tell Secretary of the Interior Ryan Zinke that you support the Bears Ears National Monument as it stands.